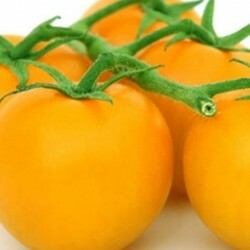 Sungold Tomato Seeds @ 99p - Buy Today! 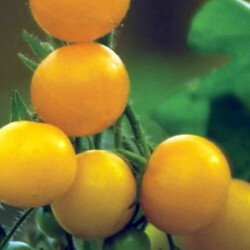 Sungold has very high sugar content (one of the sweetest cherry tomatoes on the market). The golden orange/yellow fruit weighs about 14 grams, which is a medium sized cherry fruit. 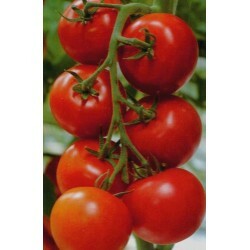 A very popular variety up and down the UK in gardens and allotments. Shows good resistance to Tobacco Mosaic Virus and Fusarium. Sow the sungold tomato seeds about 1 cm deep into a seed tray or in small pots or cells, covered lightly, watered and placed at between 10-18 Celsius on a windowsill, heated greenhouse or propagator. Sow the tomato seeds between February and May, depending on where you are going to grow them, in a greenhouse or direct outside. After sowing, the germination of the tomato seed is 8-14 days, the tomato seeds are tiny so cover the seeds only with fine, sieved compost. When the tomato seedlings are large enough to handle, prick them out. And transplant the young plants into individual small pots, later on they might need to be repotted if growing quickly and too large. Make sure that the leaves of the tomatoes don’t overlap. Temperatures during this growing period should be more than 15 Celsius at all times, ideally above 20 Celsius during the day. 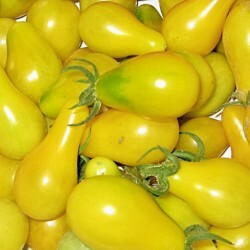 Plant the sungold tomato seeds direct in the greenhouse around mid-May-June, for cropping later on in the growing season. 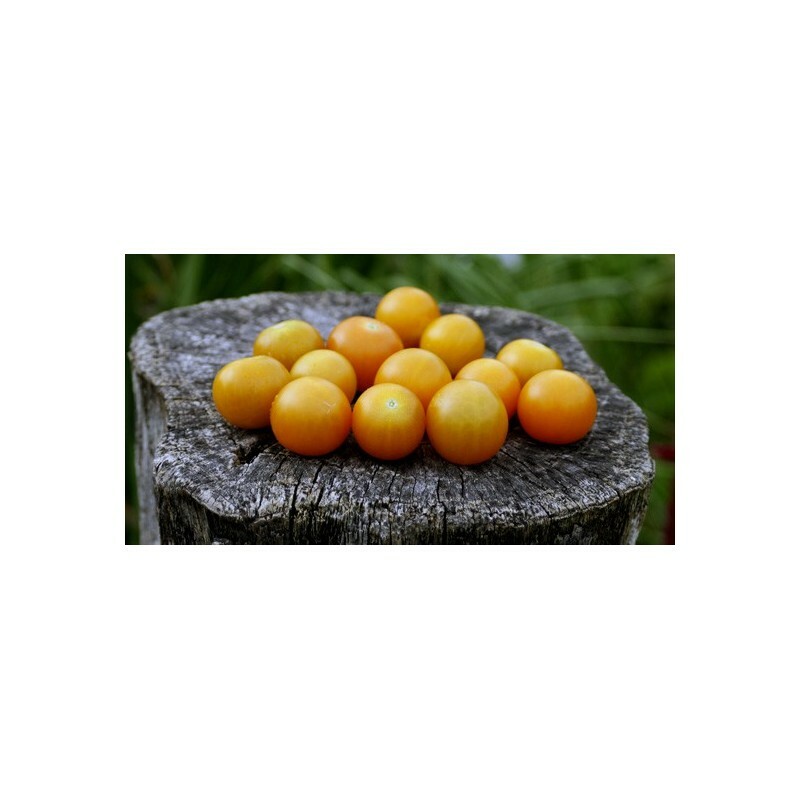 This way you can have a continuous supply of sweet golden fruits all the way till November as these plants will produce cherry tomatoes later, from September onwards.